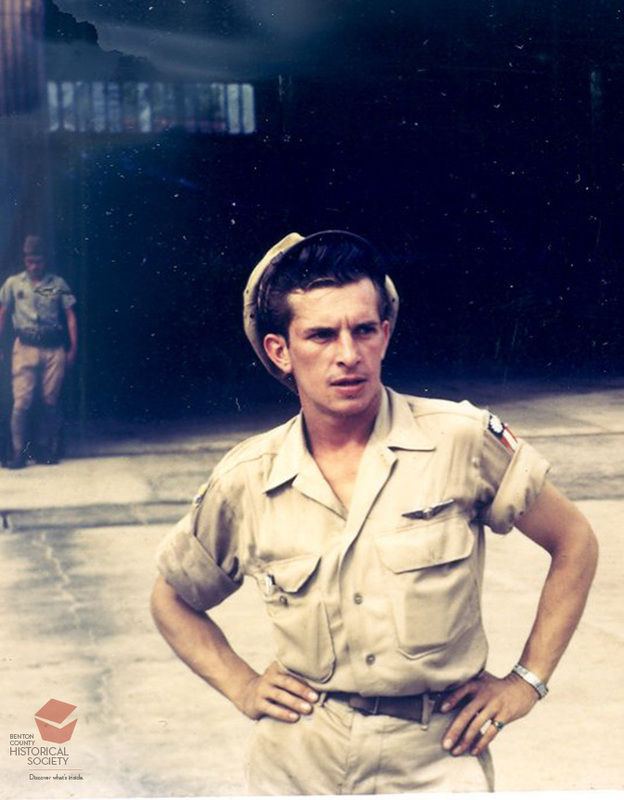 The last mission Dewey Mosier (1920-2007) flew was a flight to Hanoi, French Indo-China (now Vietnam) transporting an army major who was to arrange and conduct the formal surrender. Mosier's plane was the first American aircraft to land at the French Aerodrome, which the Japanese had held throughout the war. Mosier had been stationed at Camp Adair where he flew out of the Corvallis Air Base. After the war, Mosier worked for the California Highway Division for 25 years before retiring to Corvallis.